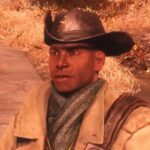 Posted by Preston in Fallout 76 Guides & Tips. There are 10 Forest treasure maps which guide you to treasures buried in The Forest. Each one shows a specific location you have to find so that you can dig up the treasure. 2 posts, last by Hendrik 3 months ago. There are 4 Cranberry Bog treasure maps which guide you to treasures buried in Cranberry Bog. Each one shows a specific location you have to find so that you can dig up the treasure. In case you don’t want to look on your own you can find all the treasure locations including maps here. 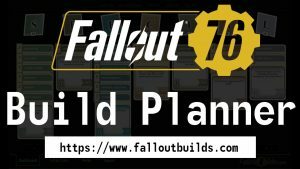 I’ve come across several videos about how to level up fast in Fallout 76 and thought I summarize them here. 2 posts, last by Baf 5 months ago. I put together this list with spots where you can find aluminum. You need aluminum to craft a workbench and repair certain weapons and armor. Tyler County Dirt Track Workshop (located northwest of Vault 76, west of the ferris wheel). You can find an Aluminum vein there. You get 5 daily challenges per day and you have 24 hours to complete them. The quest reset seems to be at 4 pm CET/10 am ET/7 am PST (please correct me if I’m wrong here for one of the time zones). 2 posts, last by Dadditude 5 months ago. You get 5 weekly challenges per week and you have 7 days to complete them. The quest reset seems to be on Tuesdays at 4 pm CET/10 am ET/7 am PST (please correct me if I’m wrong here for one of the time zones).